The Twelve Inc. designed each of its out-of-home care services to meet the special needs of youth and their families when continued placement in their own homes is not possible. 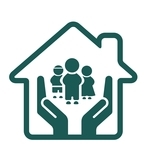 All services are provided by trained staff and foster parents, each of whom is supervised by licensed social workers. The Twelve Inc. offers a full array of assessment, counseling and aftercare services. The primary goal of each service is reunification with the family. Our variety of services allows for the most appropriate placement of the child in the least restrictive setting to meet their needs. The first choice for youth that have no behavior problems or are infants. The first choice for youth transitioning into adoptive placement and those youth who present minimal behavioral problems. The first choice for youth who present moderate behavioral and emotional problems or who may require increased supervision due to a specific medical condition. Also used as a step down service from group home placement. The first choice for youth with marked emotional or behavioral problems or who may be considered medically fragile.